When learning to French Polish a guitar, having a solid understanding of each component of the finish and what the function of each ingredient is, will set you up for success as you develop your own systems for obtaining a beautiful hand rubbed French polish finish. 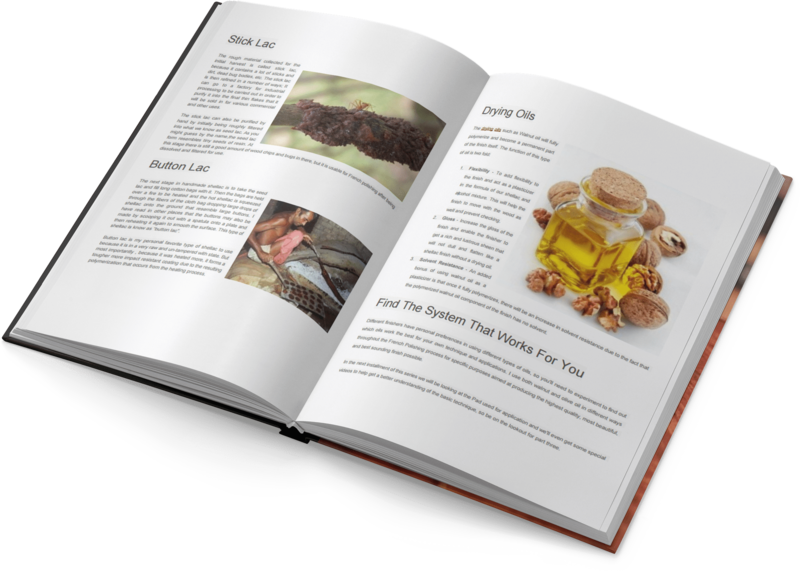 This book covers many foundatinal concepts in detail such as: types of shellac, alcohols and their different properties, Oils and their applications and benefits, and even includes 3 demonstration videos showing you the basic of each main technique. 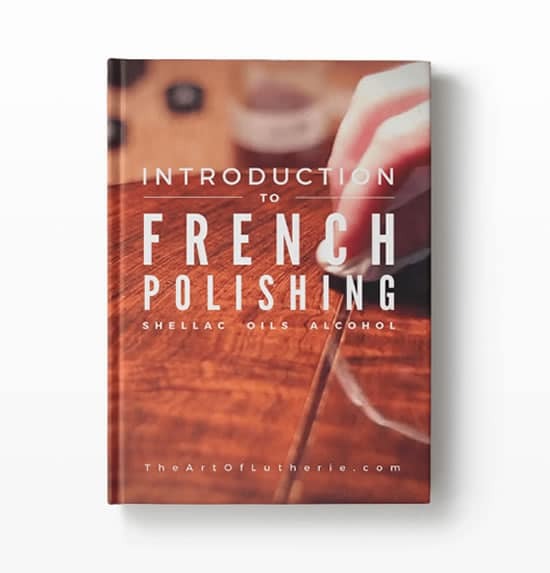 In the eBook, “Introduction To French Polishing” master luthier Tom Bills shares with you the fundamentals for applying a master quality French Polish shellac guitar finish.